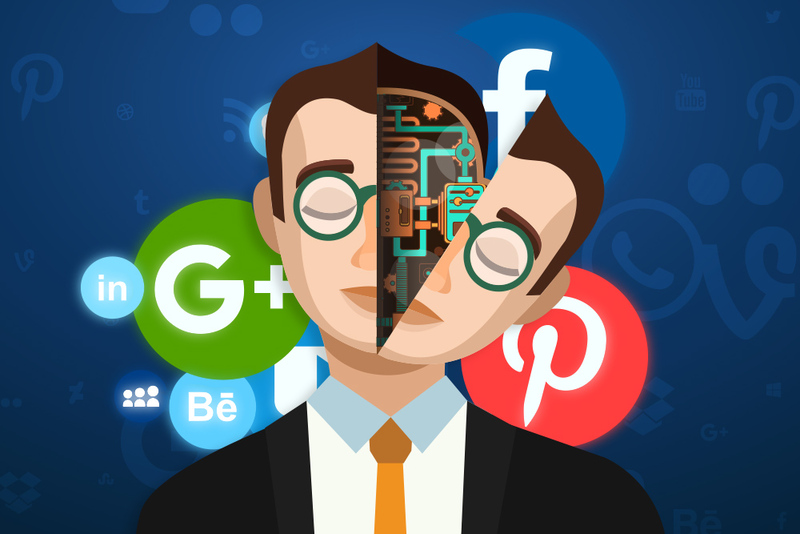 Artificial intelligence (AI) is creating so much noise in the digital marketing world right now because of the uses it has in different fields, and the ability it has to change the game. Soon, it may overtake computing as the most innovative thing to ever happen since computing. Online marketing and creative solutions services have felt the effects of such a disruptive industry since they are very good testing grounds for automaton and machine intelligence. Below, I’ve listed some key categories where you can use AI toy your advantage in digital marketing. The thing we call “traffic source” in digital marketing is the platform where you do your campaigns. These can be on Google, Facebook, Twitter, Instagram or even on Pinterest. The selection for the marketing channel of choice is usually based the type of audience you are aiming to target, which is usually based on their interests. If someone looking for your goods on Google, their goal may lean at a different angle from an individual just browsing their Facebook feed with intention to buy your product. Artificial intelligence can do the selection of channels automatically for you. It also can improve the selection process by tapping the data and leads they receive. Whatever the results are of your previous campaign will be used as algorithm by the system. You can always find a channel to use to market your products, but targeting is what gives you the capability to tap the right demographic that is important to your biz. For you to focus on building an audience based on your leads, you need to first come up with a criteria of interests you should target, then you will use the tools in your marketing channel to zero in on them. Here’s a scenario: If you are SEO marketing you will need to target people who are looking for keywords that could show they’re keen on your products or services. If your advertising preference is through Facebook, you may want to target people on this channel who are usually searching for or are interested in the same products or services you offer. AI can help you in ways that it can transform your old data into leads which it can use in targeting. Every online marketing channel will give you a choice of places where your ad or marketing material appears, whether it is a pop-up, a whole pager, or something that appears on the right side of the page. The problem is each placement will give you varying results even if you are doing the same ad campaign. AI can assist you in identifying the ideal placements for your campaign based on the data it has gathered, and by doing tests on the effectiveness of the ad on each channel. AI may automatically generate art and layout for your campaign by utilizing the text that is already there on your website. But the capability to do testing on every design and automatically selecting the most effective ones is what makes this automation a very effective tool for creatives. This is the part where you will compute how much money you will need to put out in your campaign and the precise way how you will pay for it. AI can assist you in optimizing your expenditure. Let’s say you are running a SEM campaign, it can help by dynamically setting the bids depending on the size of the traffic across different channels as well as the insights and analytics being gathered. AI may help your cost computation in lots of ways based on very reliable and accurate data. At the moment, we are only at the very beginning of a future that is extremely exciting for e-commerce and while we are seeing the amazing results we are getting by embracing automation technology, we know that we have only seen the tip of this powerful tool and soon we will be experiencing how the face of marketing will change thanks to AI.